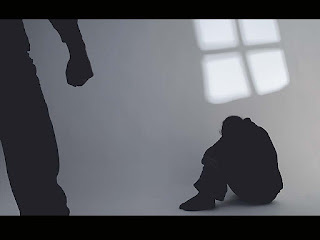 Gandhinagar district police on Friday lodged an FIR against four students who allegedly hurled casteist remarks and beaten up a Dalit classmate in the school premises for monitoring the class as asked by his teacher. The standard XI student has said in the FIR that he was humiliated and slapped in the presence of school teachers, including the principal by the accused classmate and his friends. The complainant Nikul Vora, a resident of Vankarvas in Dehgam, studies in standard XI at Municipal Boys School, at Dehgam town. He belongs to Vankar community of Dalits. He has said in the FIR that on July 8 his teacher Nipaben had asked him to monitor the class for five minutes in her absence. The teacher told Vora to look after the class so that the students don’t make a noise. According to the FIR, when she returned to the class she found one student Kaushal Rabari talking loudly in the class. “I told the teacher that Kaushal doesn’t listen to anyone. The teacher scolded Kaushal and told him to sit quiet,” Nikul has quoted in the FIR. He adds further that following the episode Kaushal and other students abused him in the class. A day later, on July 9, Kaushal’s brother Vipul and his two friends — Devang and Dhamo beat up Nikul near the school entrance. Police said that Nikul has alleged he was gheraoed by a group of students, including the accused at the entrance and inside the school premises. They all started beating him up with their bare hands until the school principal Dhiraj and other teachers came to his rescue. The FIR lodged against the four accused under atrocity act states that they abused the victim, beat him up and insulted him in front of the teachers and other students. Deputy Superintendent of Police AB Vataliya has been asked to probe the case. “There was a dispute between the two students related to monitoring the class as instructed by a teacher. The accused was against the Dalit student who was made monitor of the class on the particular day. Following this, the accused called the boy and beat him up in the school. As a matter of fact, the complainant and his relative tried to sort out the differences amicably but the accused side refused it. It was only the accused didn’t compromise for a peaceful resolution they lodged an FIR,” said Vataliya. He added that the accused have been identified and notices will be served on them as per the law since they are minors.